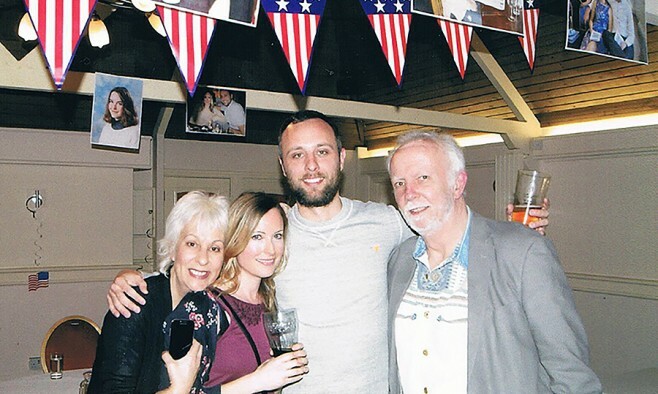 It all started in the year 2000, about eight years after Lisa and Pete Vanderburg and their two sons moved from the UK to the United States. At first the symptoms were barely noticeable. Pete only had little tremors in his right hand, but over a year they became more pronounced. He saw a range of doctors, including four neurologists, yet for a long time there was no clear diagnosis. At one point, one of the neurologists even assured Pete: “You definitely do not have Parkinson’s.” However, as the Vanderburgs were to discover soon after, this confidently optimistic assessment would turn out to be wrong. His wife, Lisa adds, “Of course, it was a terrifying diagnosis. However, at least we had an enemy to fight against. The first thing we did was search for information online. Pete and Lisa decided to return to the UK in 2008 while the boys stayed in the US. Pete’s Parkinson’s symptoms deteriorated very quickly which was hard for the family, too. “Above all, I did not want the boys to see me like that.” In fact, Pete didn’t want anyone to see him like that and so they lost their social life as well. A little while later, the boys came over to the UK, stayed with them in their little flat, and worked with Pete on his investment fund to start a new professional life. In 2012, Pete’s neurologist explained that his dose of medication could not be increased anymore to control the symptoms. In any case, the drug doses were making life intolerable. That’s when the neurologist mentioned deep brain stimulation (DBS) as a way to treat Parkinson’s symptoms. “We immediately searched for DBS on the internet to find out all about it. But, when I realised that this meant I had to undergo brain surgery I was frightened as hell,” Pete says. “He did not like the words ‘deep’ and ‘brain’ put in the same sentence,” adds Lisa.